We have bought several X-Cart modifications from BCS Engineering over the last few years and we have been delighted with the service that we have received. Whenever we have had an issue our requests for help have been met with a prompt efficient response, I would like to express my appreciation and also heartily recommend them to anybody running an ecommerce platform. 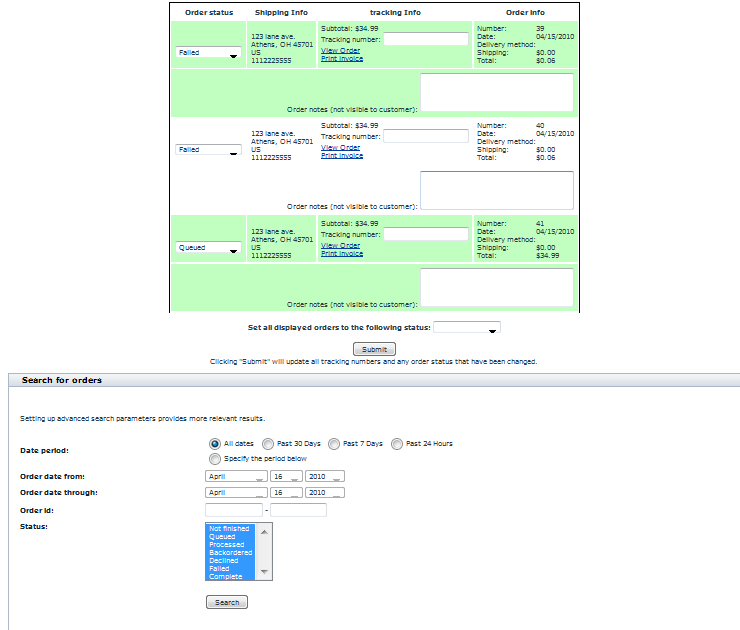 This is a time saving feature that allows you to view multiple order details and edit multiple order status, tracking numbers and email notes to customers. 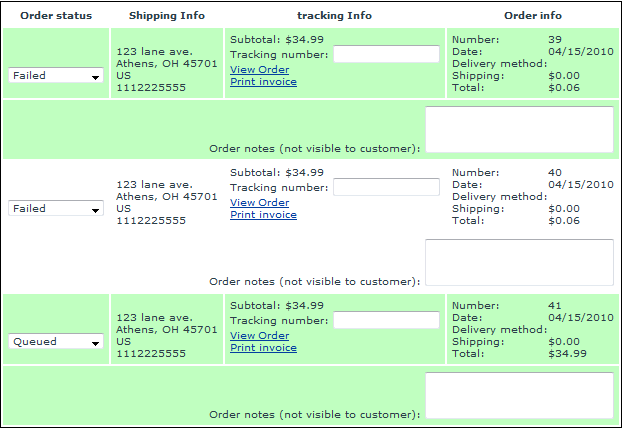 Edit multiple order status, tracking number all at once. Optional note to customer upon order status change. This note is automatically included in their order email notifications. Great for explaining any backordered items, saying a special "Thank you" etc! As with all BCS Engineering products, you are entitled to 3 months of free upgrades! Be sure and enter your shop domain below to be eligible!